Apparently, someone stole $26,000 worth of Pappy Van Winkle bourbon. What is Pappy Van Winkle, you ask? It’s a most excellent aged bourbon! Pat and I first came across it a few years ago in Pittsburgh when we went to the local Whiskey Fest. We were lucky enough to snag a bottle soon after from the local state store – at the time, we didn’t realize HOW lucky we were! It’s nearly impossible to get from stores – you have to sign up on waiting lists ages in advance to even have a hope of getting a bottle – and can cost over $1,000 from some resellers. Eep! Any employee or others found in warehouse tampering with barrels will be subject to dismissal. 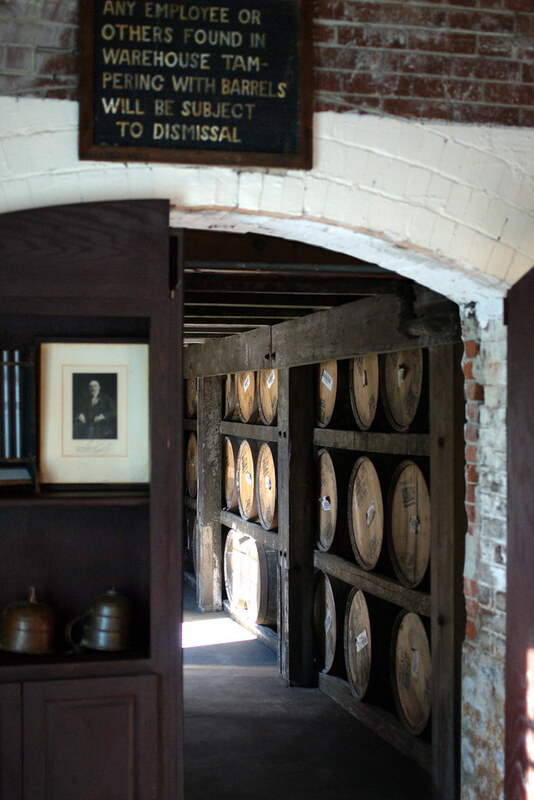 The dire warning on the “secret” library entrance to one of Buffalo Trace’s warehouses (see above) was obviously ineffective in preventing the theft. Le sigh. 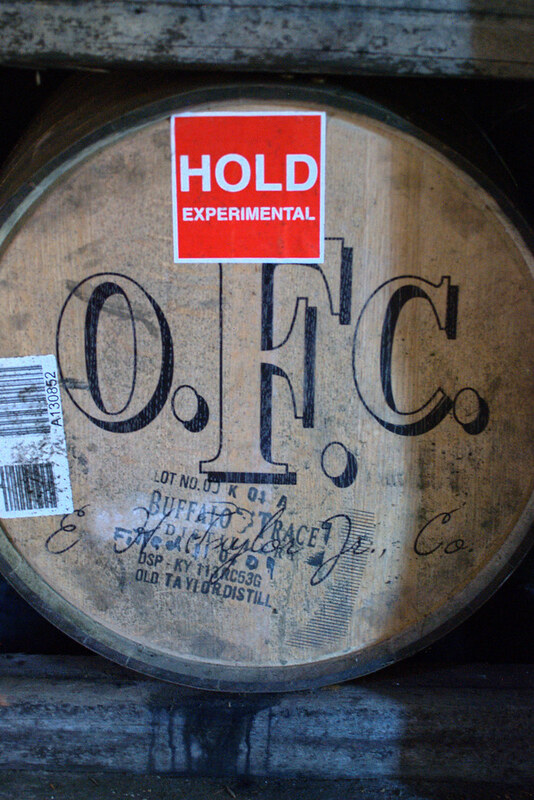 An experimental cask at Buffalo Trace. So now, my chances of getting a new bottle of Pappy Van Winkle are ever so slightly smaller than the slim chance I had before. Which means now I’ve got to go drown my sorrows in a glass of Eagle Rare. Neat.